Protect you boat with this stylish bumper from Aqualand. 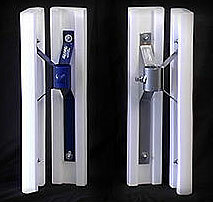 Available in Blue and Silver Powder Coat, The Single Deluxe Boat Bumper is strong enough to withstand any regular boat impact, yet the soft white cushion aids in protecting your boat from damage. 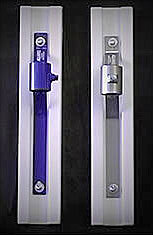 Contains the same features as the Single Deluxe Bumper above. Protects against corner impacts. 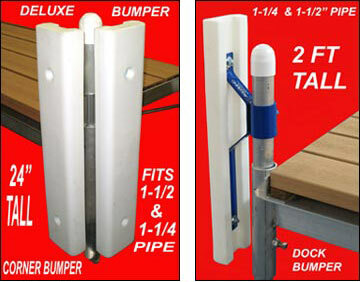 Protect the side of your pier, and avoid rubbing damage, by installing one, or more, of these attractive bumpers.